Updates from ceramics in Gifu prefecture. In this issue, we will introduce two artists based in Mino (present Gifu prefecture), whose works were chosen for the Ushida collection. 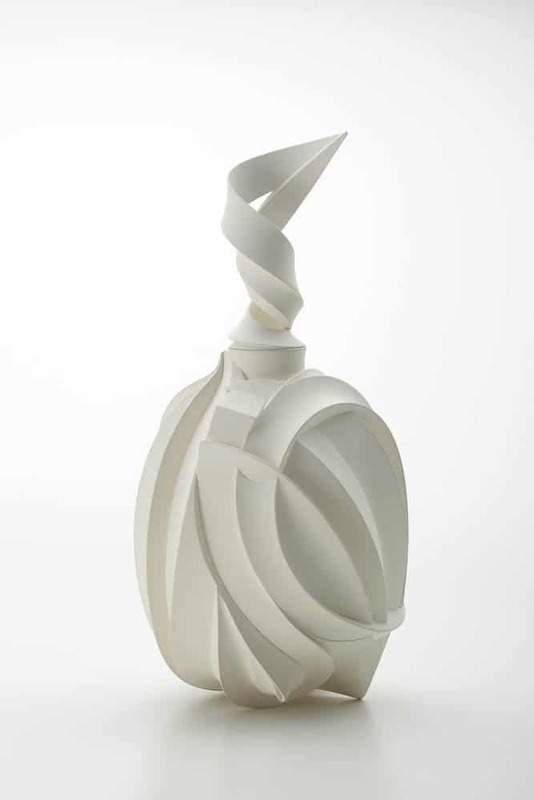 Takashi Ikura was born into a family of a ceramic manufacturer in 1962. 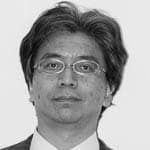 He studied ceramics at Ishoken (Tajimi City Pottery Design and Technical Center) and graduated in 1989. One of his works was selected for the collection of the National Museum of Modern Art, Tokyo and the other for the Victoria & Albert Museum in the UK. He uses a common title “a Shape Dressed in Light and Shadow” for each recent work. The title accurately describes his work in which he curves streamlined sections in order to create sharp and strong contrast between light and shadow. First, he forms a thick body on a turning wheel and then whittles the body patiently observing the figure that is created when lines or surfaces cross, until finally an unexpectedly attractive shape emerges. He says, at the moment the shape emerges, he feels so pleasant that it became a habit for him to whittle the body even though the process is painful. Tetsu Suzuki was born in 1964, and his father is a well-known ceramic artist, Osamu Suzuki, the holder of Important Intangible Cultural Property (Living National Treasure）with the technique of Mino ware. 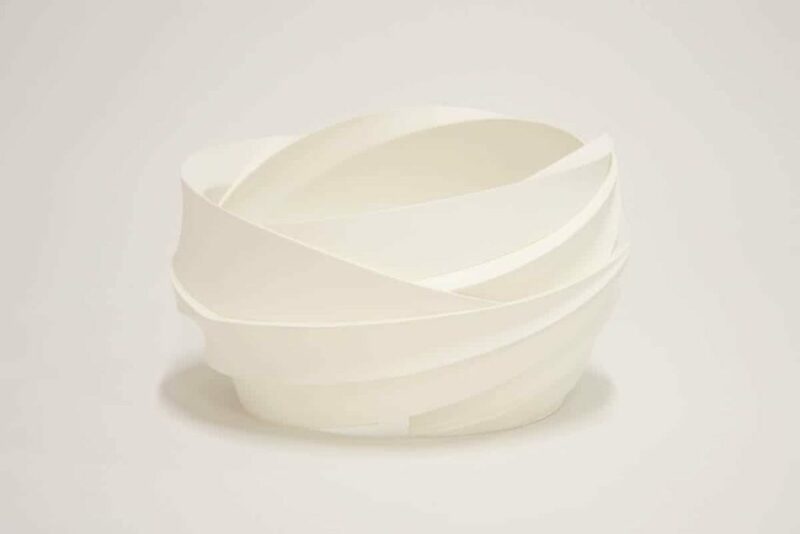 After studying the history of literature at university, he studied ceramics in Kyoto and came back to Gifu to start working independently as a ceramic artist. 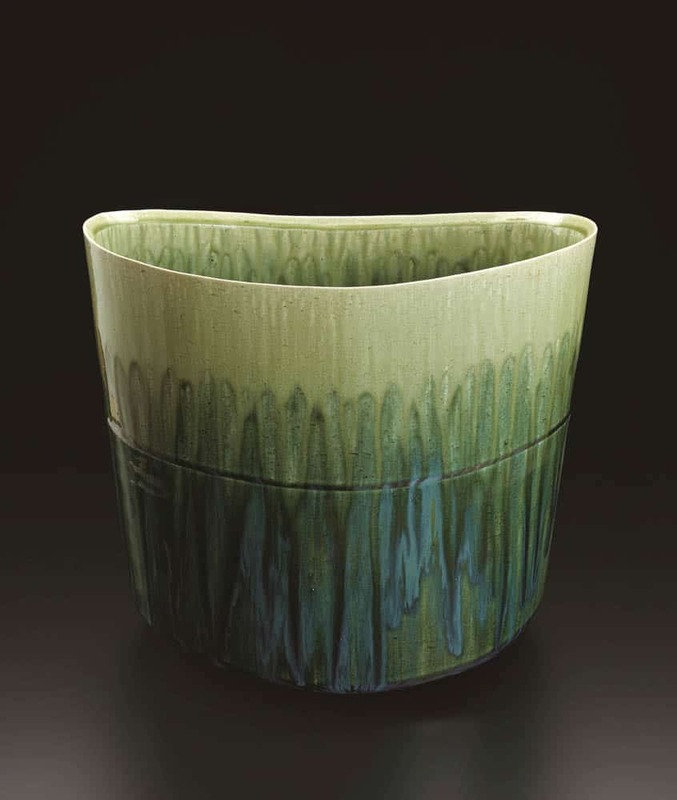 The major characteristic of his works is various green glaze using copper oxide. 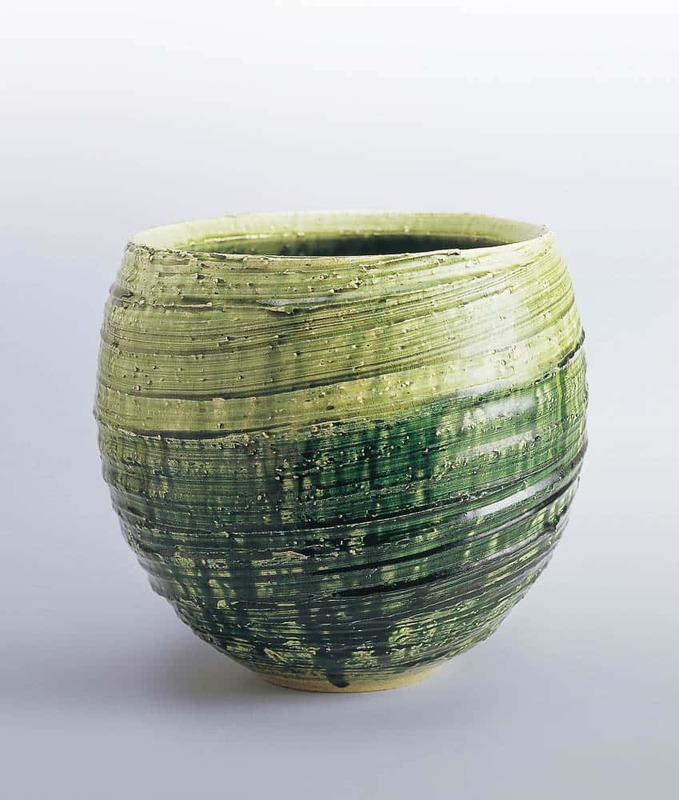 Several kinds of green glaze and textured surface made by slip have combined to give varieties of tones and complexity to his green colours. Through this colour, he expresses the beauty of nature that brings him peace and comfort. 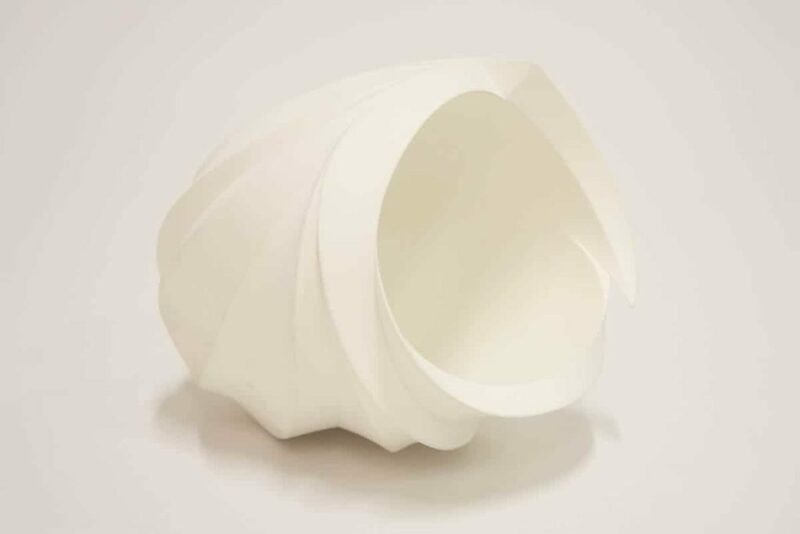 Tetsu Suzuki is one of the exhibitors of the exhibition titled “The Present Situation of Ceramic Art – Mainly with Ushida Collection”, which will be held at Gallery Voice from September. Museum of Modern Ceramic Art, Gifu opened in 2002, in Tono (Mino) region of Gifu prefecture in Japan, the region which holds a long and fruitful tradition of ceramic-making since 7th century until today. Our museum emphasizes “Modern Age of Ceramic Art” as its theme, and its collection is exclusively comprised of modern works from both Japan and abroad, from the nineteenth century onwards. In addition to ceramic arts by so-called “individual artists”, the museum features unique collections, such as hand-made, small-production-type practical ceramic ware by craft potters and industrial ceramic ware as part of the modern design ceramic art. From September 8th to November 4th of 2018, the museum is holding the exhibition “KATO Hajime: a Retrospective” to commemorate the 50th anniversary of Kato’s death. 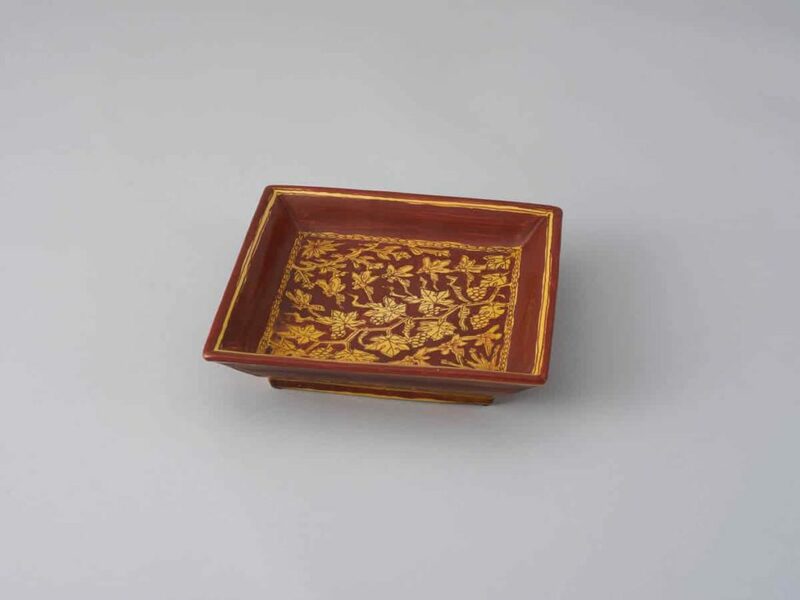 Kato Hajime (1900-1968) is widely known for his porcelain works with overglaze enamel, along with TOMIMOTO Kenkichi (1886-1963), who also mastered the technique. He was born in Seto city, Aichi prefecture, in 1900. 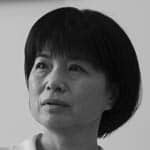 After studying design in his hometown, Kato was brought on board as an expert engineer of the Gifu Prefectural Ceramic Research Institute. 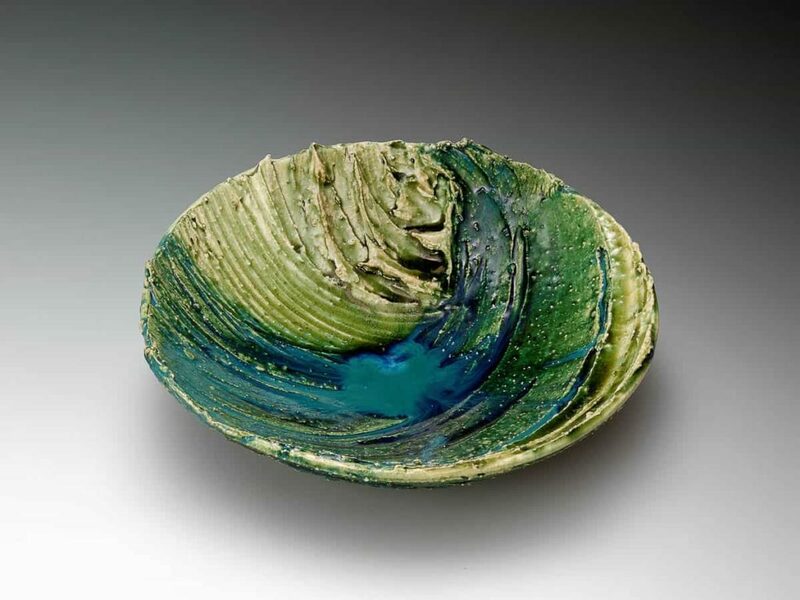 Soon after, he built a kiln in Hiyoshi, Yokohama, and started to work on his own as an independent ceramic artist. In 1955, when he was teaching as a professor in Tokyo University of Arts, Kato unlocked the secrets and succeeded in the reproduction of works with designs in “gold leaves on overglaze spring green enamel” (萌葱金襴手) and “yellow and red enamels” (黄地紅彩), Chinese overglaze techniques known for its difficultness. This remarkable accomplishment was highly appraised, and in 1961 Kato was designated the Living National Treasure with his “porcelain with overglaze enamels” art. 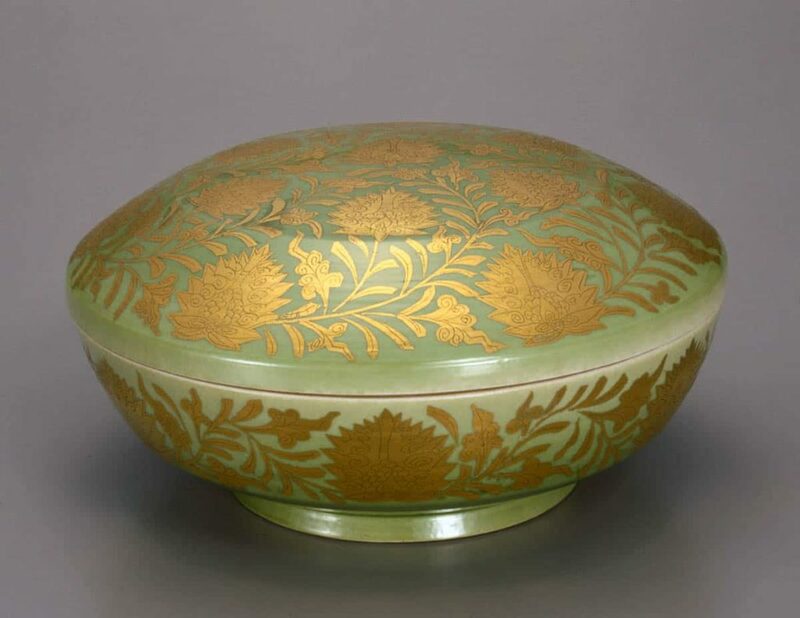 In his last years, Kato devoted himself in making “large decorative vase with chrysanthemum design in gold leaves on overglaze spring green enamels” for the new court of the Imperial Palace. However, he passed away in 1968 before seeing the finished work. 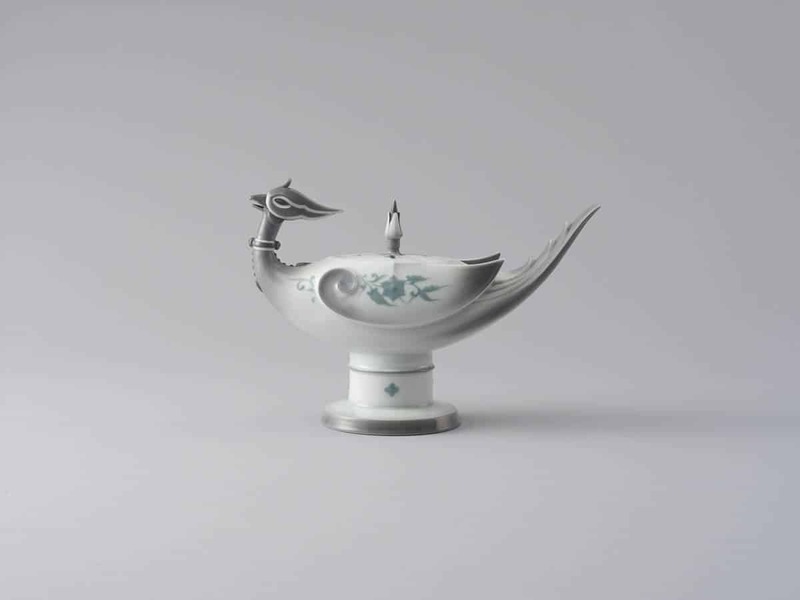 Through various works such as some of the earliest works Kato produced in the Gifu Prefectural Ceramic Research Institute, a variety of protean works made in Yokohama, and also copious sketches of ceramics and landscapes he saw oversea, the exhibition seeks to show the full scope of the creative activity of this talented artist.